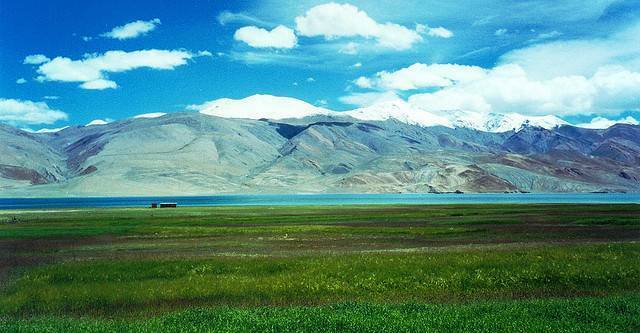 Tso Moriri or Moriri Lake is the largest high altitude lake in this region, located at an altitude of more than 4,500 mts. The Ladakhis consider this lake as a sacred lake. The lake with its crystal clear blue water and stunning colorful mountains is absolutely a magical place. It is a long drive from Leh, about 250 kms away and most tourists consider staying overnight for a couple of days in this region. Be prepared or high altitude climate and enjoy the fauna and flora of the surrounding. Officially this region is known as the Tsomoriri Wetland Conservation Reserve and has a lot of unique experiences to offer. The absence of a proper garbage disposal facility makes the tourists litter around. Please avoid doing the same.